Thailand's parliament says now is an appropriate time for Crown Prince Maha Vajiralongkorn to assume the throne, CNN reports. "The late King Bhumibol Adulyadej passed away. And the throne is now empty. It is now appropriate to invite the Crown Prince Vajiralongkorn to assume the throne," the speaker of the National Legislative Assembly, Pornpet Vichitchonlachai, said Tuesday. "For the next step, we shall present the message to the Crown Prince, and invite the Crown Prince to succeed the throne, according to the Palace Law." The Crown Prince himself now has to formally assume the throne, which is expected to happen later in the week. 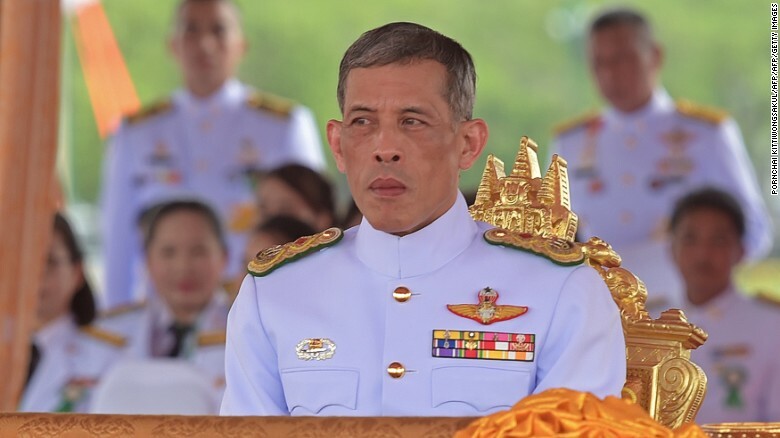 Following the King's death in October, Vajiralongkorn said he needed time to "mourn his father"before he took the crown.